Figuring out how to share maternity leave and pay has been made easier with the publication of two new booklets from the TUC. Well worth any Unite rep reading. 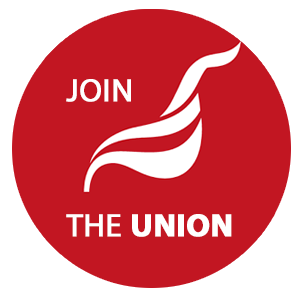 The booklets – Leave and Pay for Mothers and Leave and Pay for Fathers and Partners – are part of the Know Your Rights series published by the TUC. They set out to unravel the implications of new legislation that will – from next April – allow mums and dads to convert maternity leave and pay into shared parental leave and pay. The leaflets follow the launch of a report last week which suggests that attitudes of many employers are still stuck in the 1970s when it comes to pregnant women. The Pregnancy Test: Ending Discrimination at Work for New Mothers said although the law is on the side of pregnant women, many feel shunned as soon as they share their impending baby news with colleagues. Most employed women are entitled to 52 weeks’ maternity leave and 39 weeks’ maternity pay but from April next year they will have the option of sharing some of that with their partners in the first year of their baby’s life. The new shared parental leave and pay will also allow parents to take leave on a more flexible basis up to their child’s first birthday, for example, by alternating between leave and work, rather than taking one single, continuous block of leave. The guides cover all the basic information working parents need to know about –from rights during the pregnancy through to those relating to maternity, paternity and shared parental leave. The guides also cover flexible working, unpaid parental leave and emergency time off for dependants. Commenting on the guides, TUC General Secretary Frances O’Grady said: “The new legislation will make it easier for men and women to share parenting responsibilities in the first crucial year of their child’s life.